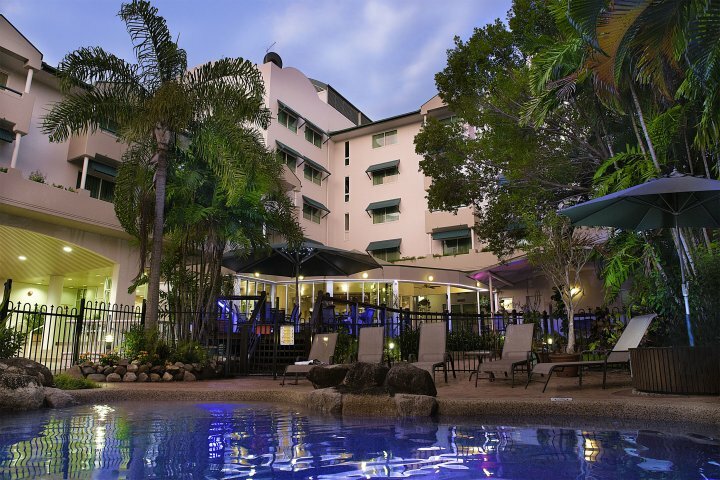 Cairns Sheridan Hotel is a premier 4 1/2 star boutique style hotel offering the friendliest service combined with modern state of the art facilities. 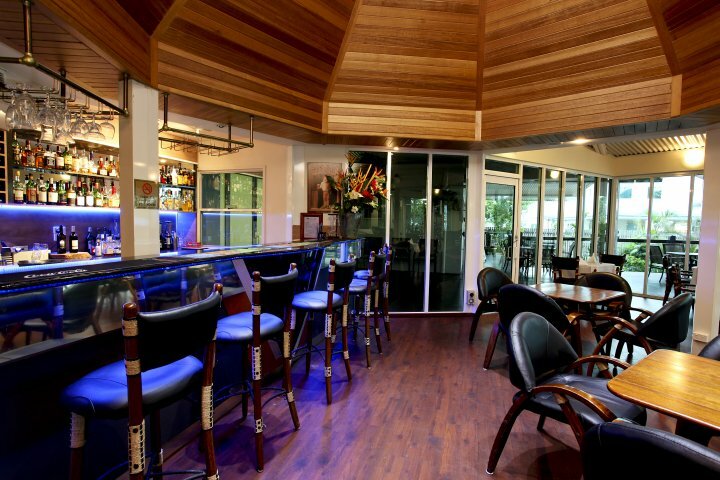 Located within minutes of the CBD, airport, shops, golf and the Botanical Gardens. Choose between tastefully appointed Deluxe and Executive rooms or expansive one bedroom Interconnecting rooms available. All rooms are complimented with the luxury features and facilities you would expect from any 5 star hotel, including bath tubs, air conditioning, free In House Movies and Cable TV, modem access, 24 hr room service and reception, private balconies, Mini-bar and refrigerators. Hotel security is first class with single point key card entry, double locks, security viewers and exterior surveillance cameras. 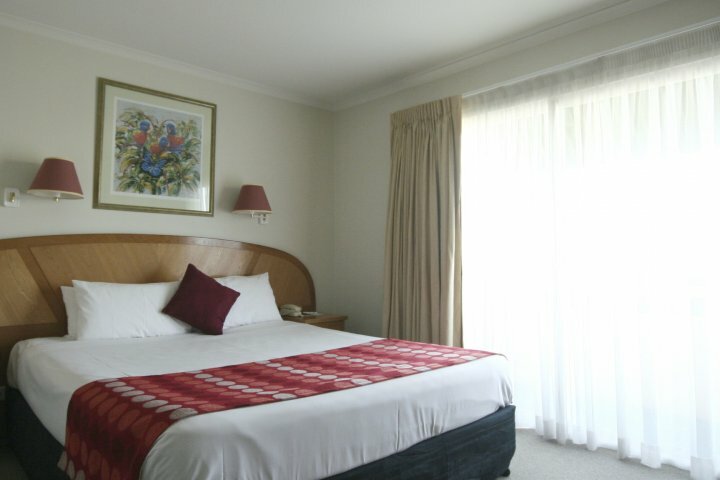 Catering for the individual or group, corporate or leisure traveller, the Cairns Sheridan Hotel offers exceptional value for money. Facilities include 24hr reception and room service, wireless internet, gymnasium, free movies and cable TV. 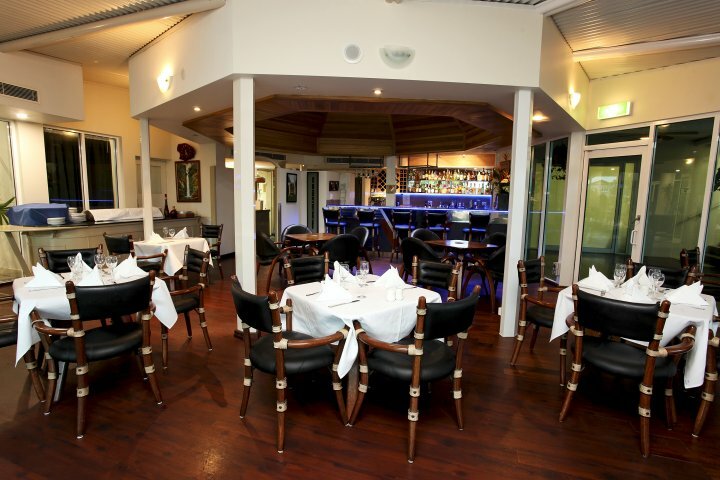 Dine in air-conditioned comfort at Palms Restaurant or alfresco on the deck over looking the tropical salt water pool. Open for breakfast, lunch and dinner daily. Our tour desk offers over 600 tour options to explore the natural wonders or the Reef and Rainforest. 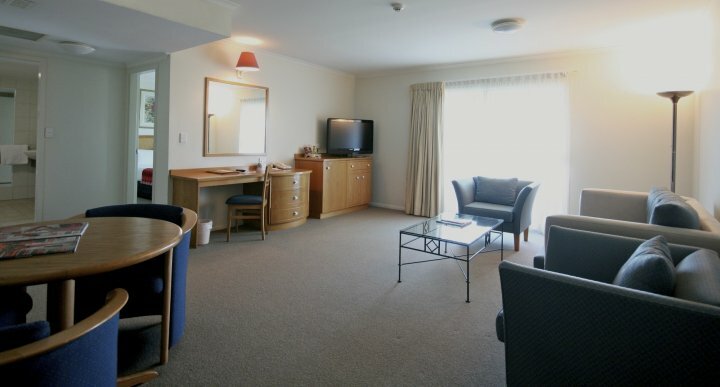 Located only 5 minutes for the Cairns Airport and City Centre, we have easy access to public transport and tour routes. Enjoy a walk to the Botanical Gardens and Red Arrow bush track. Our friendly staff will ensure your stay with us will be relaxing and memorable. Free In-house movies & cable. Most rooms have balconies. All rooms are finished with full length bath tubs and large bathrooms, remote colour TV, modem access, room service, cable television and in-house movies, air conditioning, mini-bar and refrigerators. Free In-house movies & cable. Spacious room with King Bed. Most rooms have balconies. All rooms are finished with full length bath tubs and large bathrooms, remote colour TV, modem access, room service, cable television and in-house movies, air conditioning, mini-bar and refrigerators. Free In-house movies & cable TV. Spacious one bedroom suite with separate living and bedroom. All rooms are finished with full length bath tubs and large bathrooms, remote colour TV, modem access, room service, cable television and in-house movies, air conditioning, mini-bar and refrigerators. 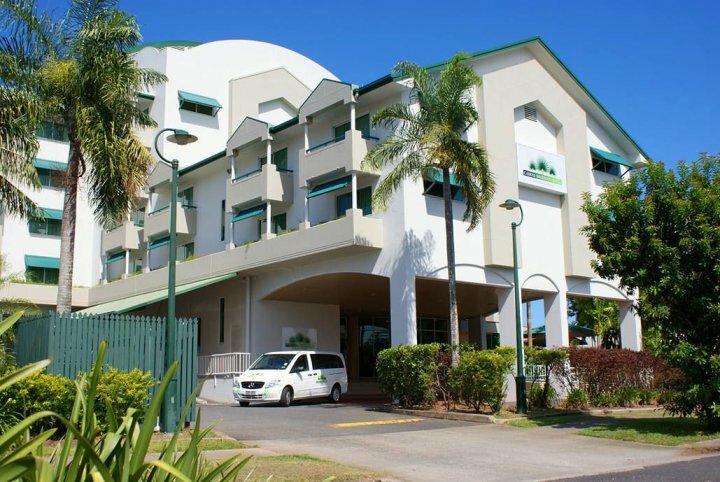 When in Cairns on business, our functions and conference rooms offer state-of-the-art facilities, which can cater for weddings, parties, meetings, seminars, training and conferences from 6 to 200 people. Renowned for its exceptional value for money, the hotel takes affordability to brand new levels with a series of packages aimed to suit all budgets. Children under 14 using existing beding are FOC. Adults requiring additional bedding cost an extra $25. 3 minutes drive from the CBD and Airport located on Sheridan Street. Book a tour through our tour desk with over 600 tours to choose from. For example rafting, hot air ballooning, a visit to the reef, rainforest and outback.